Brown beef over the stovetop. Drain. Add taco seasoning, corn, salsa and water, bring to a boil and allow to simmer for 15 minutes. Add meat mixture to 13 x 9 inch baking dish. Top cheese, then with corn muffin batter. Bake for 40 minutes or until topping is golden. Thanks my friend! Can’t wait to see you make it! 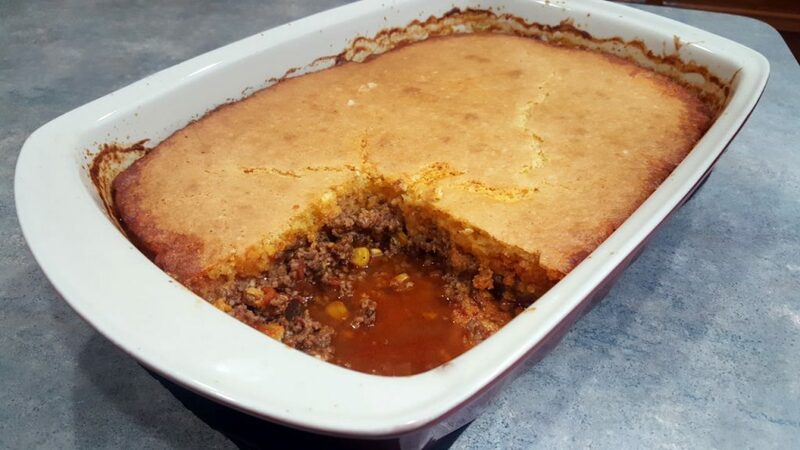 Cornbread Taco Bake — OMG THIS LOOKS AMAZING!!! – Mr. Garry L. Conn, Jr.